"Our mission is to provide products and services that guarantee a superior value to our customers"
Our products meet the industry's HIGHEST QUALITY STANDARDS. Excellence in customer service, fast shipping methods, teamwork and a good reputation are words that describe our company and our philosophy. To achieve that goal, we FULLY BACK our products up with a WARRANTY and go to great lengths to ensure that our customers are happy and that they continue to trust us. 100% RISK-FREE GUARANTEE We build our brand on happy customers, so LOVE IT OR GET YOUR MONEY BACK! 30 days of hassle-free returns. 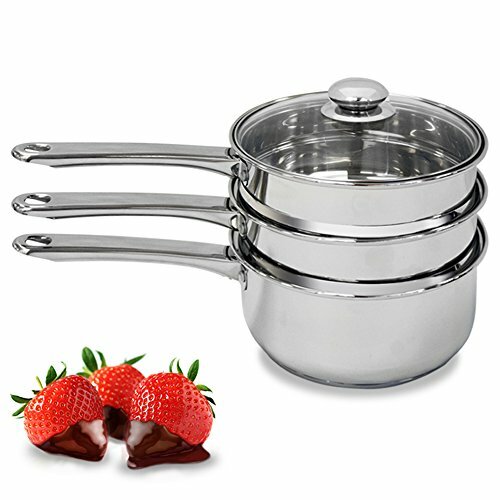 ★ INDUCTION COMPATIBLE & DISHWASHER SAFE ★ Our cookware piece has an aluminum encapsulated bottom, covered with high-quality stainless steel, that provides the perfect PROTECTION SYSTEM. Our Steamer is adaptable for all types of kitchen tops, including induction cooktops, electric, gas, ceramic, and halogen kitchens. It's also Dishwasher safe. Avoid inconveniences and don't waste time washing! ★ LOVE IT OR SEND IT BACK | HASSLE FREE RETURNS ★ We built our brand on happy customers and we are sure that you'll love our product. So, we offer 30 day HASSLE-FREE returns and even a 5-year limited warranty. Buy with confidence we won't let you down! If you have any questions about this product by purelife, contact us by completing and submitting the form below. If you are looking for a specif part number, please include it with your message.